As the beginning said, have you ever got the similar intention to import your MKV recordings in FCP for editing? If so, go through the article to get the best solution - transcoding MKV to Apple ProRes encoded MOV, an editable format that Final Cut Pro X (FCP) will work well on Mac OS X. Final Cut Pro is built from ground up for pro video editors, It makes video editing faster and better with motion graphics and file-based workflow, offers a new way to organize. While as the open video formats, it is not one of the supported video formats of Final Cut Pro. That may be the correct answer we cannot directly import MKV videos to FCP. Since we have no good methods of nicely ingest MKV to FCP, why not we ask some video assistants for a help? Pavtube Video Converter for Mac (Windows version? 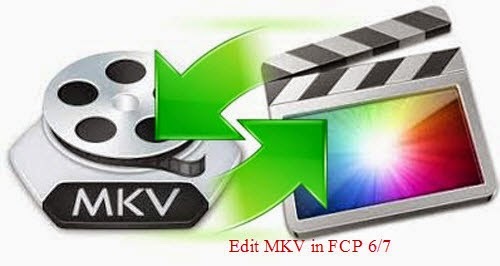 )is such as easy-to-use and professional MKV to FCP Converter that can solve the problems for us. With excellent video quality and amazing conversion speed, it seems has a good reputation among our video editors. For example, someone there listed the process of playing MKV on QuickTime and iTunes we can take a good reference. Step 1.Click File -> Add Media Files button or drag and drop to add .mkv files from your computer. You can add many files and convert them at one time. Step 2. Once the files have been selected it is necessary to choose the format that they need to be converted to. There is an option that allows you to select Final Cut Pro as the output format. ‘Final Cut Pro’>>’Apple ProRes 422 (*.mov)’ could be the best one. Step 3. Tap "settings" to customize the output parameters- adjust the video size, bitrates, frame rate, audio sample rate, audio channel, etc to get a decent video for editing in Final Cut Pro. Finally, Click the "Convert" button to start encoding MKV to ProRes MOV for FCP right away. This conversion process will finish soon. 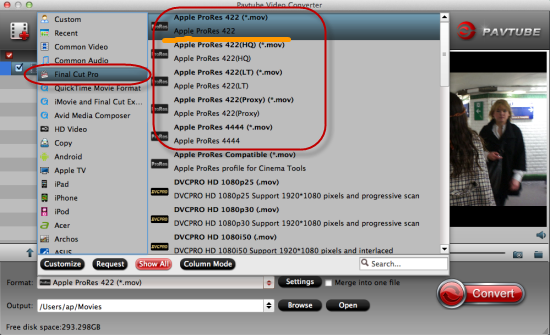 Afterwards, click the Open button to locate the output files andimport to FCP 6/7 for editing smoothly. How to Play Xvid Movies with XviD Video Player? Does Adobe Premier Pro CC Support XAVC S Codec?